Mystery Islands Music has updated the Virus|HC Editor & Librarian plugin to version 1.4.13 with new features and fixes. This update includes Windows and Mac OS X versions. 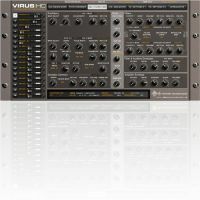 [Fixed] Save or Save As MIDI files are now compatible with Virus TI Control Software and sequencer applications capable of playing back MIDI files containing patches. [Fixed] Save As does not randomly pick patches to newly saved bank. 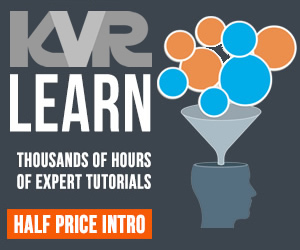 [Fixed] In some cases, Virus Rack and Rack XL master volume was set to 0 when recalling a project. [Fixed] Multi FX recall when recalling a project. [Fixed] Some parameters were completely messed up when knobs / menu items were changed by Virus TI. [Fixed] Reverb Mode now changes accordingly in Virus TI. [Fixed] Delay send levels were set to 0 when recalling project with Virus TI. [Fixed] Smooth Mode list did not include all the items when Virus TI was selected as current model. [Fixed] Rotary Speaker Mode now displays speaker distance as it is shown in the Virus TI hardware. [Fixed] If chorus mode was Hyper Chorus, Air Chorus or Vibrato, knobs did not visually move in the plug-in UI while moving the knob on the hardware. [Fixed] If delay mode was Tap Delay, knobs were displayed wrong in the plug-in UI. [Fixed] Reverb Damping now shows 0% - 100% like shown in the Virus TI hardware. 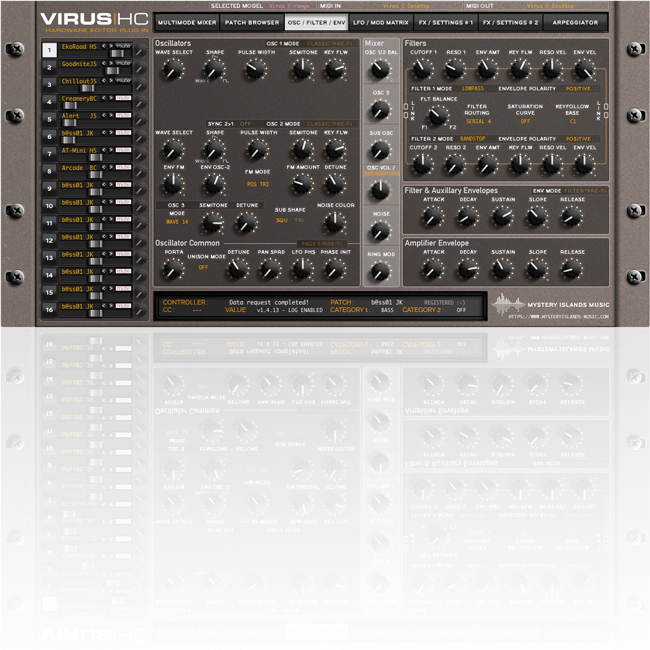 [Fixed] Plug-in UI did not update accordingly when changing Reverb Mode from the Virus TI. [Fixed] Assignment destinations in Modulation slots 4/5/6 did not show number for the first slot. [New/Fixed] Multimode Mixer Settings window has been changed so that you can choose MASTER part for multi delay/reverb (pre-ti users). If user sets part 1 as a master, patches changed at part 1 will also change the delay/reverb setting to multi/all patches accordingly. All other parts will indicate that part 1 is master and only effect send knob is available for adjustment. Master part can be changed at any time in multimode mixer settings page to hear if another parts FX is more suitable. [New] Librarian now includes 'Cancel' button, to cancel current request of arrangement, single or multi patches from hardware. [New] Finetuned plug-in framework to set request interval in 500ms with Pre-TI models and 1000ms for TI models. This is due to message size the hardware sends / receives. [New] Virus TI Snow added to model list and this ensures that right amount of patch data is requested when arrangement is called and some UI elements are temporarily grayed out to prevent touching un-needed parts. These elements will be re-drawn for v2 release in future. [New] Master Volume knob added for Rack and Rack XL users to the multimode mixer. [Announcement] v2.0.0 UI re-design has been started. New user interface size will be 1500px wide and 757px height. 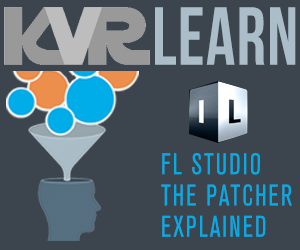 [Additional] User manual has been re-written to meet the latest changes in the plug-in core. Read the complete change log / manual addendum here.